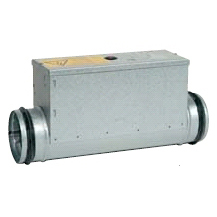 Inline Duct heaters with spigot connection for standard spiral metal ducts. 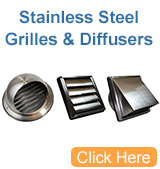 Manufactured from Aluzinc-coated sheet steel with a heating element in stainless steel. 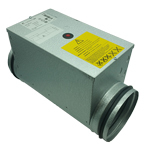 The duct heaters have integral overheating protection with a manual reset function. 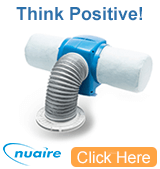 The duct heaters have rubber seals on the connecting spigots. 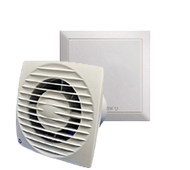 Suitable for control by room thermostat or Pulser. 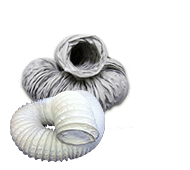 The minimum air volume is based on a minimum air velocity of 1.5 m/s. 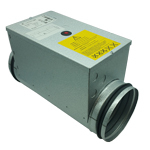 These inline duct heaters are designed for a maximum output air temperature of 50°C. 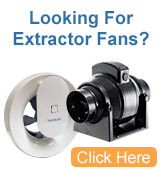 The ductwork heater units can be installed in a horizontal or vertical duct. 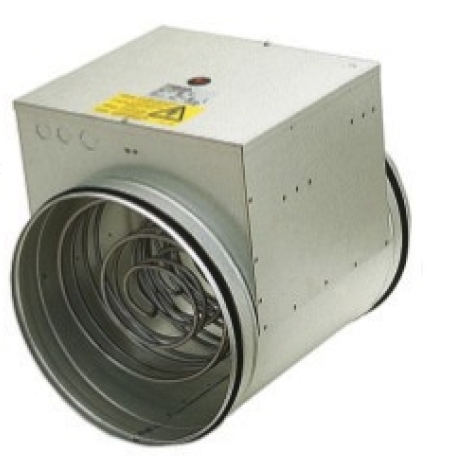 In horizontal ductwork, the connection box should be installed facing upwards, or rotated 90° to one side. 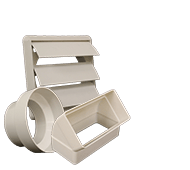 Installation with the connection box facing downwards is not allowed. 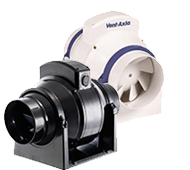 Available in dimensions from 100mm to 400mm - for other dimensions please contact us to discuss your requirements.